You know how sometimes in a crowd you recognise someone, then in hardly a blink of time you realise it could not possibly be the person you imagined? Well, this poem came about that way. And legs the proverbial forever. I rushed out into the street. Called your name. Said I’d mistaken you for someone else. But that was not entirely true. I rode up to the border on my donkey. The guard pulled me aside. “What’s in those sacks the donkey’s carrying? Or what his questioning implied. That I wished to hide. And looked up the donkey’s arse. Finally he gave up searching. He decided what I’d said was true. And smuggled the donkey through. In the previous poem of the month I was writing about how there are various levels of interpretation with Sufi stories, many of which the poems in The Book Upside Down Thinking are based on. Take the poem above for example. It seems to have a pretty obvious ‘interpretation’: the border-guard sees what he wants to see, rather than what is before his eyes. You could take that a step further and ask, why is the border guard blind to what is before his eyes? Is he obsessed with the smuggler, rather than the thing being smuggled? The border-guard has trained himself to search only for what is hidden. Like most people he thinks in a rigid way and cannot accommodate a different view-point. Is that what has blinded him to the fact that the donkey’s being smuggled? Still, there is something to be said for an even more practical lesson the story can teach... An elderly friend from a coal-mining village in Northumberland laughed when she read the poem. It reminded her of something she’s been told when she was a child. Her father, who’d worked down the pits, had a friend who use to smuggle wheel-barrows out the colliery. Pit security would search the barrows for any tools he might be smuggling out in his wheelbarrow, and finding nothing but some dirty clothes would wave him on his way. He sold the barrows to allotment holders. 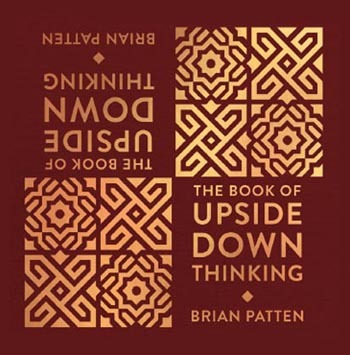 One of the results of Kindle is that publishers of print-editions are beginning to produce more and more attractive books, and forget me not books have really gone to town with The Book of Upside Down Thinking. It’s wonderful to have this particular group of poems together between such classy covers. The stories most of the poems are based on are some of my favourites, they’re short and entertaining, and have their origins in the near and Middle East. They have lasted a thousand and more years because of that entertainment value, and also because they are often imbued with wisdom and are very simply told. One of the most famous of all the stories is the one where someone is searching for something they have lost, in a place where they never lost it. Here’s a version of it from the new book. See what you make of it. He lost a ring down an alleyway. He saw no point looking for it there. He wandered off to look elsewhere. “Why are you looking here?” I asked. You might think the verse is simply about the absurdity of looking for what you want in a place you know you never lost it, and that’s fine. But another interpretation might be that by looking for something only in what seems an obvious place, you’re limiting your options of finding it, no matter what it is- a lost key, a ring, love, or enlightenment. Yet another interpretation might be that the “seeker” is looking where it’s easiest to look, rather than in more difficult or obscure places, where what he’s seeking might also be found. I held a mirror to my face. “Yes, that’s me,” I said. I found an old notebook the other month containing ripped out scraps of paper. On one piece was a line I’d written about the stars being herded across the skylight, and below that was a reminder of a dentist’s appointment. Not the greatest of combinations. Elsewhere in the notebook were other fragments of what became the poem below. I remembered the skylight, the intensity of the time during which I wrote it, but not the dentist’s appointment. You have gone to sleep. Something no longer anchored in love drifts out of reach. It does not matter which. Into the voice leaks bitterness. The throat dries up, the tongue swells with complaints. Once sleep was simply sleep. The pillow upon which your head was resting. Or caused trust to vanish. Your mouth on mine was counterfeit. There is no potion to wake you. It is a sleep from which I am exiled. A planet drifts out of reach. The wounds we think are huge. Sleep, don't be so tense. No need of dumb defence. Where Are You Now Batman? The Mersey Sound happening this year, I was asked about the inspiration behind a few of the poems from the collection for a documentary that’s being made about the book for BBC4. 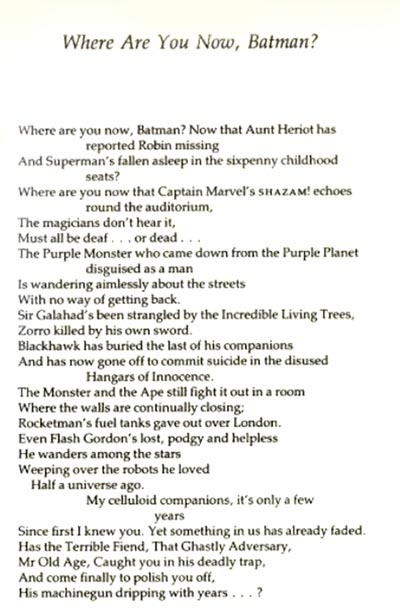 The poem below, Where Are You Now, Batman? was written around 1965 when I was still in my teens. Recently I read somewhere that the poem’s dysfunctional superheroes proved an early inspiration for Alan Moore. 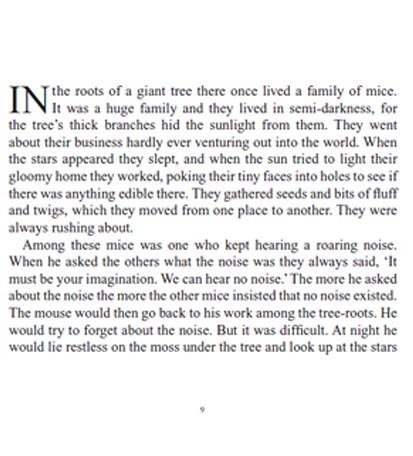 That delighted me, as I think he’s a fantastic unpin-down-able creator of contemporary fairytales. What are Superheroes after all other than the likes of Hansel & Gretel dressed in masks and colourful costumes and fuelled by overloads of adrenalin. Where Are You Now, Batman? was inspired by the local Saturday morning Children's matinees I used to go to at The Magnet and The Cameo cinemas as a child growing up in Wavertree, Liverpool. 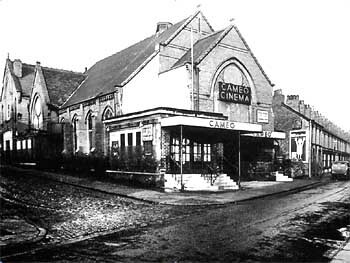 The Cameo, a converted Methodist chapel on the corner of Webster Road was the smallest of the cinemas. The seats were torn, the floor was sticky with chewing gum and nefarious smells drifted in through a ventilator from a back alleyway. Next to the Cameo was a rag and bone yard where I took the jam-jars I’d collected earlier from the neighbouring streets in order to sell for ticket money. As a child I was in awe of the early superhero serials the Cameo showed. They were all low budget twelve or fifteen parters churned out for American cinemas in the 1940s by outfits like Columbia Pictures, and they arrived at our local fleapits by the 1950s. Along with Batman and Superman were many others: The Purple Monster and Captain Marvel being particular favourites. Whether falling off cliffs, being trapped in burning warehouses, up to their necks in quicksand or being strangled by living trees - each week those early superheroes in ill-fitting tights would stumbled from one disaster to the next, absurdly confident and more morally assured than a vicar at a funeral. They conferred a kind of immortality on themselves with their optimism. Maybe that's why we kids cheered them on in the Saturday morning darkness of the cinema. No matter how many cliffs they fell over they would survive because, like us, they believed themselves immortal. The memory of those serials inspired the Batman poem, but it was also mixed up with darker memories. Real life intruded on those serials. When I was an infant a double murder had been committed at the Cameo. A 27 year old man, George Kelly was found guilty of shooting dead the manager Leslie Thomas and his assistant Bernard Catterall. The court case dragged on for ages, and our neighbourhood was awash with gossip, especially as Mum and some of her girlfriends used to drink in the same pubs as George Kelly. Kelly was hung in March 1950 in Liverpool’s Walton prison, executed by the hangman Albert Pierrepoint. As Pierrepoint’s name seemed such a strange name to me, for the rest of my childhood it was that name, not George Kelly’s, that I associated with the murders. Fifty-three years after he went to the gallows, the Court of Appeal overturned George Kelly’s conviction on the grounds that a key witness had lied in court. I remember my Gran saying the gun used in the murders was buried in the nearby cemetery on Smithdown Road. If it was, it was never found. Many years later I was in the same cemetery with a group of friends, attending Adrian Henri’s funeral. By then the house I grew up in and The Cameo, the cauldron in which my early imagination had been forged, had long been bulldozed from the face of the earth. By the time The Mersey Sound, the book I shared with Roger and Adrian was published in 1967, I’d already decided to leave Liverpool. At first I thought I might move to London and stayed on and off at a flat in Arkwright Road, Hampstead. The flat was owned by Olwyn Hughes, Ted’s sister, who he’d introduced to me after he’d been instrumental in helping me get an arts council grant, and who became my literary agent for a while. The literary parties I traipsed to in Olwyn’s wake put me off London. I didn’t belong there, and eventually I settled on Winchester, where nothing much seemed to happen, but in the nicest possible way. At the time I was making the final amendments to the manuscript of my first book, Little Johnny’s Confession, and had taken the ms to Winchester to look over while staying at Pat’s. There was a poem in the manuscript called The Lake which I didn’t want to include- it was only there to make up the requisite number of pages, the least bad of the rejects. I sat in the garden of a pub overlooking the Itchen trying to improve the poem, and instead a new one surfaced. Leaving Nothing and Nothing Ahead became the last poem in the collection, and it foreshadowed my leaving of Liverpool for good. The peace I felt writing it beside the river Itchen I knew I could no longer find at home, with what I saw back then as a manic insistence on “doing” something or “being” someone. I didn’t want to belong in the hullabaloo anymore. There’s a poem elsewhere in Poem of the Month called One Another’s Light, one of my personal favourites, that somehow relates to this one, though it was written many years later. It is twelve years since my friend the bookseller Bernard Stone passed away. Below is a poem I wrote for him. I re-found it the other day along with something I’d written about him and the American bookseller, George Whitman. Amongst the legendary bookshops of the 20th Century two stand out for me. One was George Whitman’s Shakespeare & Co. in Paris, and the other was Bernard Stone’s Turret Books in London. George let young writers sleep in his and Bernard kept them awake and partying half the night in his. Both men were magical and both are gone. George’s ghost still haunts Shakespeare & Co. but Bernard’s has no one shop to rest in. His business lurched from one financial crisis to another, and yet somehow each shop he moved to was mysteriously bigger than the last. The first one was in London’s Kensington Church Walk, a tight book-lined squeeze, an oblong cubby hole from which he conducted his limited editions business. The second, a few shops up the Walk was probably his most famous, and set the tone for the others. It was a decent sized space, its walls lined with posters and photographs of novelists and poets and its shelves heaving with collections of poetry and little magazines, and the limited editions and pamphlets published by his little press. An incredibly realistic waxwork dummy of Sigmund Freud stood near the window. With its back to the world and disinclined to pay attention to anyone, it stood there quietly peering at a bookshelf of old classics and would inevitably annoy new customers. They’d stand behind the waxwork asking for some book or other, growing more and more agitated when they got no response, and then they’d storm out muttering about the bad mannered proprietor. Meanwhile, Bernard would be elsewhere in the shop dusting a shelf or indulging in another vodka and orange. Each Saturday you would find Bernard’s shop(s) buzzing with novelists and poets, drunk or half-drunk on the endless bottles of wine Bernard would produce to supplement those they’d brought in themselves. You’d find five or more of them any given Saturday. Lawrence Durrell, Alan Sillitoe, Stephen Spender, Ralph Steadman, B. S. Johnson, Peter Porter, Roger McGough, Christopher Logue, Posy Simmonds, Michael Horovitz, Adrian Mitchell, Adrian Henri, a young Carol Ann Duffy, as well as visiting Americans like Allen Ginsberg and Ted Joans (look him up! )- these were only some of those who’d drop by. Bernard had many friends, inside and outside the world of books, and though books were his first love, the many beautiful young girls who befriended him and often worked in his shops were a close second. There were only a few people who ruffled him. Once when Bernard saw Ralph’s friend, Hunter S Thompson, about to enter his shop he hid under a desk. The books are all in mourning. Has closed up shop forever. The lease goes on forever. Aphasia is a condition that makes it difficult for people to understand or learn speech. It causes great distress. Below is a poem that was written for the National Aphasia Association at the request of a friend with an aphasic child. In the poem, I imagine what the child might have said, had it been possible. But words give me a fright. Sneaky things. They gabble and lie. Makes me cry. Words hurt. They get shoved in my face. Or that they smelt nice. From what I want to say. Would people think I’m thick. Jacqui from York enquiring about the poem below (see Guest book page) reminded me that although I’ve aired it at a reading, I’ve never tried publishing or sharing the printed version. It seems topical, this year being the 100th anniversary of the Battle of the Somme, but it was in fact written some years ago. Thanks for reminding me about it, Jacqui! I still think of it as an unfinished draft, but here it is. By simply drifting through the door. On the classroom’s murky glass. “Look, Miss!” shouted the children. And sat down in an empty chair. And hushed the excited class. And its eyes were the colour of corn. Like those worn at the Somme. In a rather perfunctory way. Her heart wasn’t in the lesson. The children were too restless that day. It wanted to hear what the teacher said. Had been amongst the maimed and the dead. And decided to be on its way. Hadn’t quite happen as she’d described. And the maggots were bigger than bumble bees. Had begun to heal at last. All over the country at the moment people are beginning to form groups to clean up local rivers. Wonderful that they do, sad that they have to. To quote The Guardian, “Most rivers, lakes and coastal and ground waters in England will still not meet legally binding EU water pollution targets by 2021 - six years after the initial deadline.” I originally wrote The River’s Story at the request of a teacher for a group of children who were doing a project on pollution. I remember when life was good. Stretched and yawned in a myriad of floods. Settled on my skin to drink. I wore lily-pads like medals. 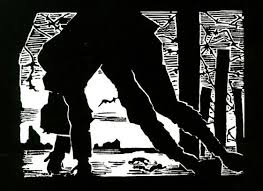 And left me cowering in monstrous shadows. They vomited their poisons into me. To an open sewer I’ve shrunk. Beneath the still, burning stars. I wrote The Betrayal soon after visiting Wavertree Vale, the Liverpool street in which I grew up, for the last time. Here’s a photo of the street shortly before it was demolished. My grandparents, my mum, me and Lizzy (an old lady I adored and who slept for a while on a chair in the kitchen when I was about 5 years old) lived third house in from the right. The first house in from the right was occupied by Betty, who was by far the oldest person in our street and quite frightening to look at, with blind milky white eyes and little claw like hands deformed by arthritis. She was sweetness itself. Betty smelt of bay leaves and always had cakes and sugared almonds at hand to attract us children in through her ever open front door, as if we were wild birds. She’d probably been born around 1864, during the American Civil War. The main difference between this photo and my early memories of the street is that there were no tv aerials back then, and the street was lit by gas-lamps, not electric ones. Half a lifetime had passed. And my background was wiped from the face of the earth. The loose change history spent without caring. Not to have marked their passing seems such a betrayal. A butterfly resting on a doorknob. I did not see the grief they were grasping. Led me away from the blood I ought to have recorded. I search my history for reasons, for omens. Offered up by fly-brained astrologers? To read the true nature of my betrayal. Are wiped from the face of the earth. Here’s a poem I wrote for an anthology Carol Anne Duffy was putting together a while ago. The brief was to write a poem about 1962. It was a good year to recall. By then I’d met up with Roger and Adrian and was editing a poetry magazine called underdog and the world felt brand new. Painting The Entry of Christ into Liverpool. A map drawn by Garcia Lorca open before me. Nothing that could not be reinvented. That the bees stole for themselves. And here’s a much shorter poem from a recent sequence. Read into it what you will. Is this what they call a “lamp shop?” I asked. “There are no signs, and the window is bare." Just heard that Lemmy from Motorhead’s left the building. Winehouse has left it too. (The song goes on though the singers go. Now Lemmy’s left the building. You’d have thought he’d have gone long ago. None announced a final show. They’ve all left the building too. None heard the last applause. Here’s a Christmas poem for the family. Change the names, adapt it, or write your own version to read out on the day. Or break it into sections and share it amongst several voices! Wishing all visitors to the site a Happy Christmas and a fantastic New Year. And it came off in her hand. We passed a butcher’s shop. And then she cried non-stop. And it’s only just begun. And that is where it flew. Hopped in on to the mat. But now it’s in the cat. I’m bound to get quite sick. And send it back again. I don’t know what to get. And send him to the vet. On all the pies and cake. Were bought for him to break. And never bring him back. I’m sure no one would care. My older brother scoffs at me. He’s made a nasty trap. We’re bound to hear it snap. My brother says he’ll use. If he could have his way. And so we’ve called a truce. 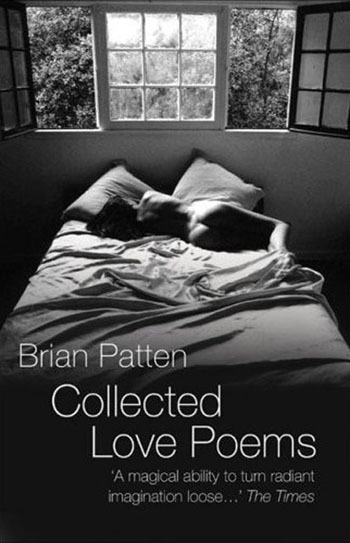 The Collected Love Poems - the updated edition of the earlier Love Poems collection - was out of print for a while but now seems to be available again. Hopefully it can be found or ordered from independent bookshops, but if, sadly, there are none near you, then Amazon stock it. But you’re still in the ditch. Five-thirty in the morning. The sun rising, bird-song as yet unpolluted by the day’s noise. The scent of the wild garlic that lines the path down to the river. It’s the senses, too, that have come out of hibernation, letting one live in the present and simultaneously triggering the past. Please speak to me, ears. Give me the sound of water over stones. Don’t hang about staring at the floor! The light falls like sheets of gold. The smell of brick-dust on the bomb-site after rain. Falling there like a web of peace. Tongue, remind me what the earth tastes like. That stops the world from shrinking. Ears, can you hear that spell? Eyes, can you see it working? This poem was written in Tintagel, Cornwall, some time ago. In an old cemetery overlooking the sea, I saw fresh flowers that had been placed on the grave of a nameless boy who had drowned off the coast more than a century ago. Who brought flowers to this grave? 'No,' said the wind. 'That's not true. I blew them up to the grave's door. Said the crow. 'I ought to know. I dropped them into the shadow of the leaning stone. With the help of the celandine and the crow. On the media page (LINK) we have uploaded two short films - different interpretations of my poem, The Minister For Exams. Also, below is a new poem recently published in The Poetry Paper. The Poetry Trust launch the paper annually at the Aldeburgh Poetry Festival. You can find a flipbook version of it on the web. But that was not quite true. If You Had To Hazard A Guess Who Would You Say Your Poetry Is For? I did an interview for Greg Freeman’s Write Out Loud recently. Was comfortable doing it because Greg’s questions were considered. Sometimes though, in the past I’ve found questions impossible to answer with anything other than a poem. Here’s an example below. For good people, people huge as the world. And who are never reminded. To the hand bunched in pain against them. Waiting for the chances that have passed. Sometimes when you go fishing for poems you catch that rare thing- one that makes no distinction between the adult and the child reader. Sally Slipshod is such a poem. A few earlier poems of the month, Mr Ifonly and Geography Lesson, are other examples. Nice when it happens. Was amazed it got away. Where the birch tree had once been. Was transformed to tinkling sounds. The frosty blossom of the stars. The rest she let fall away. She knelt among them to pray. Saw only light flowing there. 'Your mind has gone wrong,' people told her. Sally Slipshod did not care. How could dull people comprehend her? And from two miles the nightingale. Two poems from The Collected Love Poems, neither of which appeared in the original volume. I guess of all my collections this is the book I feel closest to. I cannot get her voice out my ears. I cannot wipe her smile from my retina. How other ghosts are immortal. So she burnt off the ice I wore like armour. And you think you've grown strong. "Never again will I be vulnerable. A folly, never to be repeated". How absurd and fragile such promises. A sweet pain waits in ambush. Of a marigold will smoulder. Will flare up within you and bleed you of reason. Will bend like sunlight under water and go astray. Monstrous love will swallow you. A seasonal poem, remembering back to when I was a child and sneaking downstairs one night to open the door and step out into the first really big snowfall I’d seen. Wishing all visitors to my site a wonderful new year! I did not sleep last night. The falling snow was beautiful and white. And opened wide the door. I had not seen such snow before. There was a pureness in the air. I felt more and more awake. Of swirling frosty falling flakes of snow. But that was not so. The world with such a peaceful glow. That mute miracle of snow. It seemed to fall for me alone. How beautiful our grubby little street had grown! Don’t know what to say about this one. 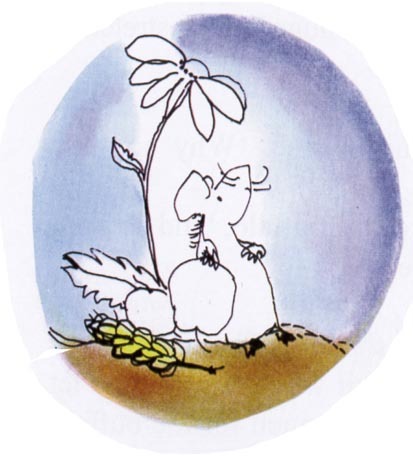 It began life as a poem for children, but grew up along the way. The things that I meant. The things that I should. Who’d run out of time. The sound of ships foghorns on the Mersey and the rattle of freight trains passing through the darkness were the lullabies of my childhood. At night those sounds comforted me. The sounds of the river in particular. On winter nights especially I would lay curled up in the bed-chair I slept in. I was stationary, safe, cocooned. I’d listen to the laments of the liners and the cargo boats and try to differentiate between the various ships horns and whistles, and try to imagine where the ships were going. It seemed to me to be a time of departures. Here’s a poem I wrote remembering back to childhood and the Liverpool Docks. Maybe it is about early influences and the past resurfacing and bringing back with it a cargo of clues as to why some of us turned out as we did. There is a boat down on the quay come home at last. Time's pissed up against them. Through the phosphate that clings to the lips of waves. And were like giants to me. And watched as they departed. And angels swooped like swallows? What secrets did they learn to forget? Here’s one of my performance poems for children. The idea is that there’s a word the performer can’t pronounce and which the children, being more verbally astute, supply. Sometimes a poet is lucky enough to write a poem that is accessible to both children and adults alike, and which both will understand on their own terms. Charles Causley was the master of such poems, and one of my favourites by a more contemporary poet is Benjamin Zephaniah’s beautiful, Under This Orange Tree, easily found on the web. Geography Lesson is one of mine that surfaces in anthologies for both children and adults. It was written some time ago, remembering back to a teacher at a Secondary Modern School I attended in Liverpool. He was a stern man, but would always wax lyrical about the places he would visit when he retired from teaching. And all his life had longed to be. And green leaves burning on an orange tree. Where it was never drab or cold. And shook off the school’s stranglehold. Where the green leaves of the orange trees burned. His name was forgotten, it faded away. Is with me to this day. But which he never knew. Remembering back to sitting in school aged fourteen listening to a wonderful teacher reading us poems and trying to explain the syllable count in haikus, I wrote these two poetry doodles- different takes on the same idea. Sits at the back of the class. I seldom remember dreams. Maybe six or seven times in my entire life have I woken recalling one with any amount of vividness. Yet one morning a few months before my mother died I woke remembering a dream so clearly that I wrote it down as a poem immediately. I called it Ward 16, and published it later in a book called Armada, in a version little changed from my first draft. The poem is about an hallucination, and it baffles me. Again: I wrote the poem months before my mother’s death, before the brain haemorrhage that killed her. She was still in her sixties, and seemingly in good health. Her death was the last thing on either of our minds. In the dream-poem I am sitting at my dying mother’s bedside in an old fashioned hospital ward. It is late at night and there is a small pool of light at the far end of the long narrow ward. An ancient, care-worn angel appears and begins to move among the hospital beds towards her. I felt uncomfortable having written the dream poem down, a little ashamed of it, as if by the act of writing it I was willing her death on. I wasn’t. We were close. I think of myself as a pretty down to earth person, not much given to the idea of premonitions. But how could it have been anything else? One of the few dreams I’ve ever remembered in my life coming true within months of dreaming it? She died in a hospital in Liverpool, in a small side room off Ward 16. In which I kept vigil, a glow appeared. The duty nurse, bent over her reports, noticed nothing. Washed by tidal-waves of pain. There was no other light bar the low-watted bulb on the nurse's table. as if the door were insubstantial. That had caused this trick of light, a freak hallucination. It took shape, and I froze in awe. Its golden skin the texture of a moth's wing. That separates the mind from angels. The horror of dying, like liquid spilt. brushed all the hours of her life aside as if they were flies. There came no final leave-taking. Then went, and was gone forever. How normal the ward seemed a moment later! Beyond the opaque doors a solitary light glowed. The duty-nurse yawned, not in the least distracted. hy Is The Mute Swan Singing? In the warren deep below? 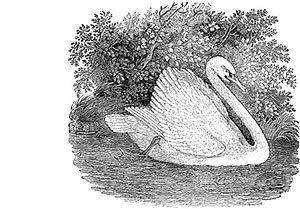 Why is the mute swan singing? Why is the wren so bold? And the spider weaving gold? How calm the snow, how white it is! How clear and pure the air! That were once so numb with cold? What can they see unfold? Is something they all know. A few months before he died my friend the poet Adrian Mitchell was reading in Devon and stayed over with me. We sat in the small overgrown orchard that backs onto the house, and talked into the night. A few months after his death in December 2008, missing him I went back out into the orchard with two glasses and a bottle and continued our conversation. A few people have asked for this poem after readings, and I’m glad to share it again here. Steps out of nowhere and is beside me. Falls through it, grimaces, nods OK, tries again. “Not used to this being dead stuff,” he says. Sits finally, breath smelling of ice and apples. Tendrils of river mist drift through him. Somewhere an owl takes out its oboe. We down the bottle – who cares if we get smashed now? Celia’s up in London- can’t see us. “The stars are bubbling away nicely,” he says. “It’s God’s soup, spilt out across the heavens,” I reply. We exchange banter, his ghost and I, the best of mates still. I had an uncle who was in prison for fencing. I learned to love sport. Or that I was in for the high jump. And then she too would run a mile. Was always full of old oars. A perennial question when being asked about poems, especially by children, is ‘Where do you get your ideas from?’ The question once sparked an answer about a little shop in Liverpool down by the docks that not many people know about where they have sweet jars full of them. Big bright yellow jars for the happy ideas, small blue ones stuffed with sad ideas. There’s no one answer to the question, but sometimes poems are sparked off by looking at a phrase or object aslant. The other day in a second hand bookshop I saw a book called Late Poems, and it sparked off the poem below. Are burnt to a cinder! poured into a jug this morning? All the fizz has gone from it! And how about the roses I was keeping for afters? Been at them. They’re inedible! I’m not inviting them again. The fat feast the world is. I was as near paradise as I am likely to get again. And was amazed we had survived it. It’s 30 years now since Harry Fainlight (1935-1982) was found dead in a field in Wales. Incarcerated in asylums where he received electric shock treatment, and living in near poverty in squats and attic rooms, Harry was a friend and a truly brilliant poet. He only ever published one pamphlet of poems in his lifetime. Ted Hughes got Faber interested in publishing a collection of Harry’s work, but at the time Harry was seeing publishers as vampires sucking out creativity from poets. It’s rumoured he threatened to burn the publishers down and stuffed rags through their letter box as a warning not to publish him. True or not, it’s the kind of behaviour Harry was capable of at his most disturbed. This is one of several poems I’ve been writing attempting to summon up the ghosts of gone friends. Are as ancient as ever. Ah, Harry! Baffled by the day’s normality. Ted, Allen, weavers of your matrix, dust now. Rinses out the clogged up world. Below are three short poems of Harry’s. In The Gates I think he is saying Eden still exists and we can still find it, but we must enter it in a different state of consciousness to the clumsy everyday consciousness with which we go about our everyday lives. The second poem, City Park, was written before the Sexual Offences Act of 1967, and is one of many in which Harry explored a society that criminalised homosexual love. In the third, The Jew, Harry is pondering his own Jewish heritage. Deep within the noonday forest. My soul has been mortgaged for a hundred thousand years. A limb broken and reset again and again throughout history. Buttressed by a dozen props and yet still barely standing. The back of a chair and yet still remains unsleeping. The skies of morning hoping finally to be relieved. This month’s poem is a favourite of mine, one I feel lucky to have written. Inasmuch as a poem is ever ‘about’ one thing, this is about the loves, friendships and chance encounters that, often without our realising it, have changed the direction of our lives. It is also about the brevity, and preciousness of life. You can hear it read by going to Media page. Am never likely to go again. And stopping, been glad enough. Hope the way we go is right. You asked, Who will look after the garden while I’m gone? 'I will anchor it to the earth with snowdrops. 'It is mine,' said February. 'I will feed it the memory of all that grows. 'With diamond and daisy I will seduce it. I will soak it in shower after shower,' said April. And the fumes of the hawthorn,' said May. ‘And I will adorn it with necklaces of honeysuckle and ruby,’ said June. 'I will contain it,' said July. August spoke from the garden’s still centre. ‘I will weep layer upon layer of sardonyx. I will guide it towards sleep with the cold light of sapphires. 'And I will guard its sleep,' said December. Out of the nightingale's song, use that mask. I have, said the poet, but they fit too easily. The mask only you can wear out. This mask? he asked, this mask? Yes, said the poem, why not? He had lived too long with them. He snatched at the poem and stuck to his face. He chewed on it, spat bits out, destroyed it. Into his blood it wriggled. They were afraid of him. Now it's the right mask, said the poem, the right mask. It clung to him lovingly, and never let go again. their sophistication, the camouflage of their kindly smiles. their prey answers to women's names. and is in us all like a poison. how nothing is ever as expected, nothing is ever as stated. Behind doors and windows nothing is ever as wanted. The good have no monopoly on love. All drink from it. All wear its absence like a shroud. Of their scent and their plump brown thighs. With eyes that glittered like sulphurous stars. He came dressed in the body of Eve. And tugged the goat by the sleeve. “How well do you remember Rebecca? Does sweet Rachel still heat up the blood? “They are waiting for me inside the Gates. This beautifully produced book is inspired by ancient stories that have their origins in 10th century Middle Eastern folk tales and sufi teaching stories. Its wise and witty rhymes rattle the cage of conventional thinking, and help show the world from a different and unexpected perspective. 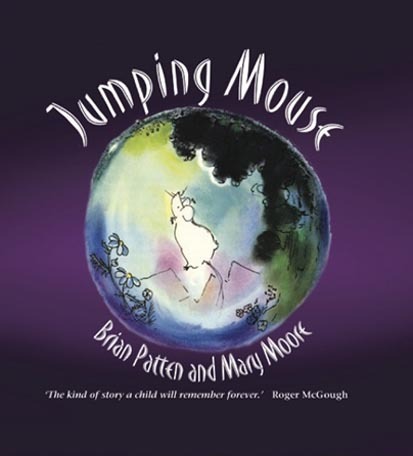 "The kind of story a child will remember for ever"
Alongside familiar classics from the earlier Love Poems volume, this collection brings together dozens of poems written subsequently, including new poems published here for the first time. 'THE BLUE AND GREEN ARK'. 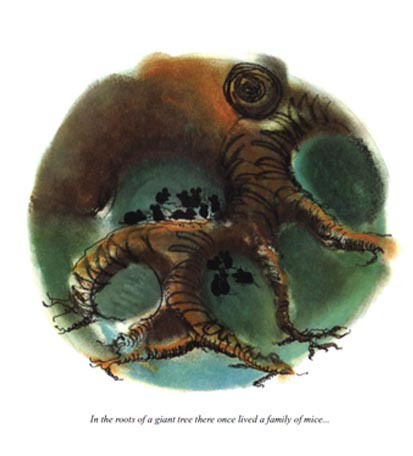 "Taking each letter of the alphabet in turn, and with a wonderful fresh eye and delicate accuracy, Brian Patten evokes images of the many natural wonders about us, from the creatures who swim in the depths of the oceans, to the heavens above us and the galaxies beyond. This book is a major work of art with an essential simplicity and breathtaking beauty that will appeal to young and old. It is a fitting tribute to our blue and green planet and its precious cargo of life at the passing of a thousand years."